Jeremiah here is prophesying that Solomon’s temple is going to be made like Shiloh. We know that in a few decades, Solomon’s temple is going to be destroyed by the Babylonians, so clearly being made like Shiloh is a bad thing. However, this leaves us wondering what happened to Shiloh so that Jeremiah could point to it as an example of the consequences of disobedience. We first encounter Shiloh in Joshua 18:1. 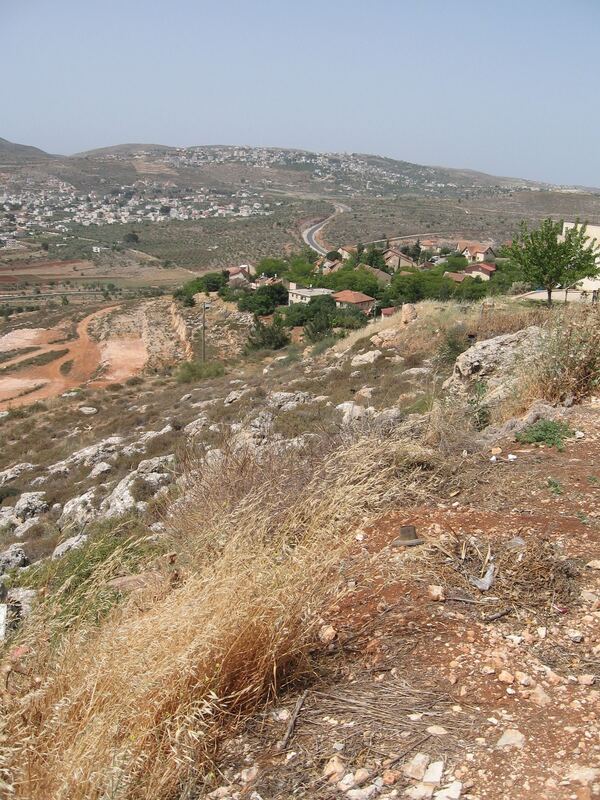 It’s the location where Joshua pitches the tabernacle when the Israelites come into Canaan. Shiloh makes occasional appearances throughout the period of the judges, but it next becomes central to the story of Israel in the early chapters of 1 Samuel. According to 1 Samuel 1:3, in the years immediately before Samuel is born, the tabernacle (or possibly even a more substantial compound) is still at Shiloh. Eli and his sons, Hophni and Phinehas, are serving as priests. Eli is old and ineffectual; his sons are greedy and wicked, and in 1 Samuel 3:1-14, Samuel predicts that disaster will come upon Eli’s entire house. In 1 Samuel 4, Hophni and Phinehas take the ark from Shiloh to battle against the Philistines. The Israelite army is crushed, Hophni and Phinehas are killed, and the ark is taken. Eli, when he hears the news, passes out, breaks his neck, and dies. Thereafter, the ark is recovered and goes to Kiriath-jearim, and the family of Eli relocates to Nob (where things don’t go a whole lot better for them). Shiloh is at the least abandoned as a religious center. Some speculate that it also is destroyed by the Philistines. Thus, when Jeremiah prophesies that Solomon’s temple will be made like Shiloh, he’s predicting judgment not only against a place of worship, but against the priests who serve there. Throughout the book of Jeremiah, the prophet points to the priests (his own family, incidentally), as one of the sources of the moral rot that is going to destroy Judah. Jeremiah’s relatives appreciate this so much that they threaten to kill him unless he shuts up (Jeremiah 11:21). However, Jeremiah is proven right. When the Babylonians sack Jerusalem and destroy the temple, they also kill the high priest and other prominent temple officials as punishment for their role in the revolt (2 Kings 25:18-21). All of this would be an interesting historical footnote for Christians if Jesus had not revived Jeremiah’s prophecy Himself. In Matthew 21:13, Jesus quotes Jeremiah 7:11 as He cleanses the temple. We often read this as an indictment of the chief priests’ greed, but it’s much more than that. Caiaphas and the gang would have recognized Jesus’ quotation and understood it in its context. Jesus isn’t only saying that the priests are villains. He’s predicting that their villainy will lead once again to the destruction of the place where God is worshiped. Eli and his family brought destruction on Shiloh, Seraiah and his family brought destruction on Solomon’s temple, and as the next link in the chain, the family of Annas will bring destruction on Herod’s temple. Samuel was right, Jeremiah was right, and Jesus will be proven right. At this point, the chief priests decide to go one better than the men of Anathoth, and they succeed in killing Jesus. Despite the dramatic end to His ministry, His prophecy overtakes the Jewish priestly caste, and the end of temple Judaism comes with the destruction of Jerusalem in 70 AD. It’s the final judgment of a priestly line that has repeatedly defied God, from Shiloh onward.